An alphabetical primer on the wonders of typography, including serifs, hooks, diacritics, spines, ligatures, and more. Each print is signed and numbered by the artists, from a first edition of 500. Type Connection is a dating game for typefaces. To win you have to pair up a typeface with it’s most compatible mate. Yes, that’s geeky. Yes, there are good explanations and aesthetic objectivity in which typefaces work together well. Start by choosing a typeface to pair. Like a conventional dating website, Type Connection presents you with potential “dates” for each main character—without the misleading profile photos and commitment-phobes. The game features well-known, workhorse typefaces and portrays each as a character searching for love. You are the matchmaker. You decide what kind of match to look for by choosing among several strategies for combining typefaces. 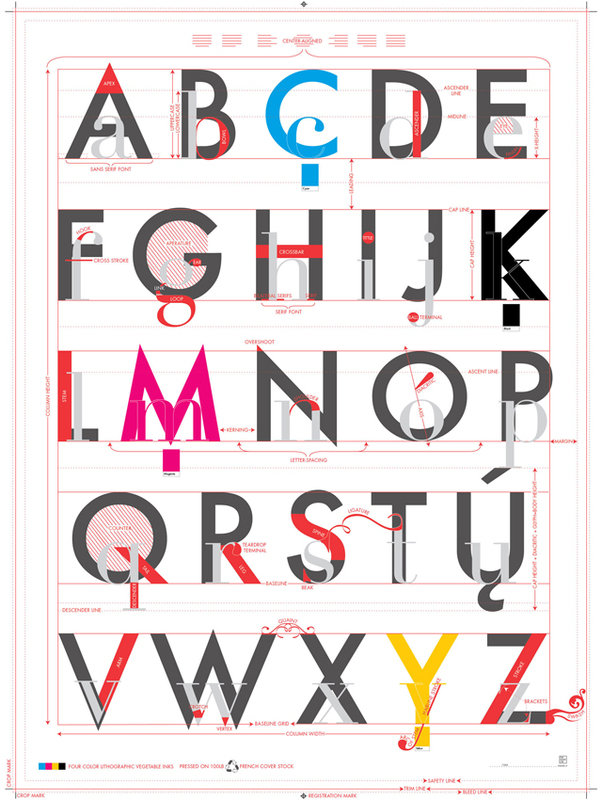 Along the way, you explore typographic terminology, type history, and more. By playing Type Connection, you deepen your own connection with type.